The Horde Groupware Webmail Edition is a free, web-based groupware that has established itself for the use in companies. With this app users can read, send and organize their e-mails. They can also manage, e.g., calendars, address books, tasks, contacts and notes and share them with their colleagues. 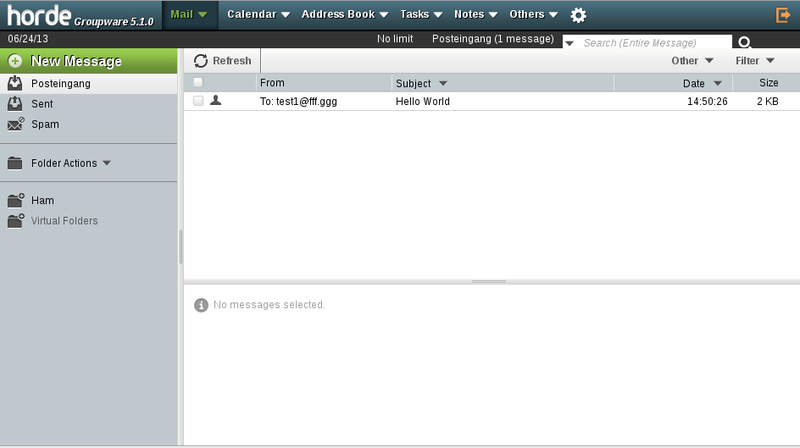 Horde Webmail is a web-based solution that provides a complete suite of mail, mail filters, calendars and task lists for anyone who doesn‘t want to use an entirely groupware such as OX App Suite or Kopano. Horde Groupware Webmail Edition supports encryption and digital signing with S/MIME and PGP. Horde Groupware Webmail Edition includes the Horde applications IMP, Ingo, Kronolith, Turba, Nag, Mnemo, Gollem and Trean. The Horde Groupware Webmail Edition App integrates seamlessly into the UCS mail stack and requires the mail server app to be installed in the UCS domain. Download UCS and activate Horde Groupware Webmail Edition directly from the App Center.